A tiny kitten was playing around his house in Virginia one day when he slipped outside and noticed a car parked in the driveway. He climbed up into the car’s engine to explore, and accidentally ended up a little stuck. The car belonged to a friend of the kitten’s family, and when the driver came back outside, he had no idea the kitten was in the engine compartment of his car — and drove 12 miles back home, with the tiny kitten stuck inside the car the whole time. 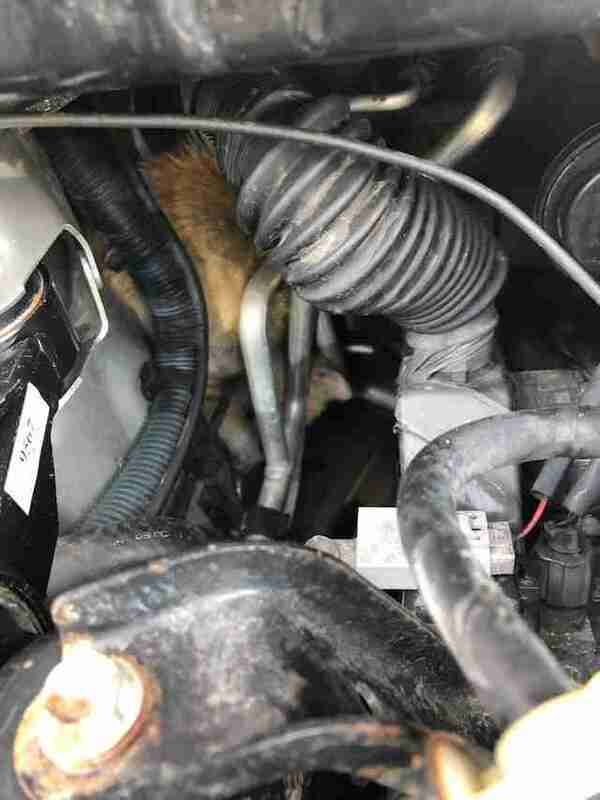 The next morning, 10 hours later, the man heard tiny meows coming from inside his car, peeked inside the engine compartment to investigate, and discovered the kitten, very scared and very, very stuck. The man tried to get the kitten out on his own, but soon realized he was going to need some help and contacted the Caroline County Sheriff's Office. 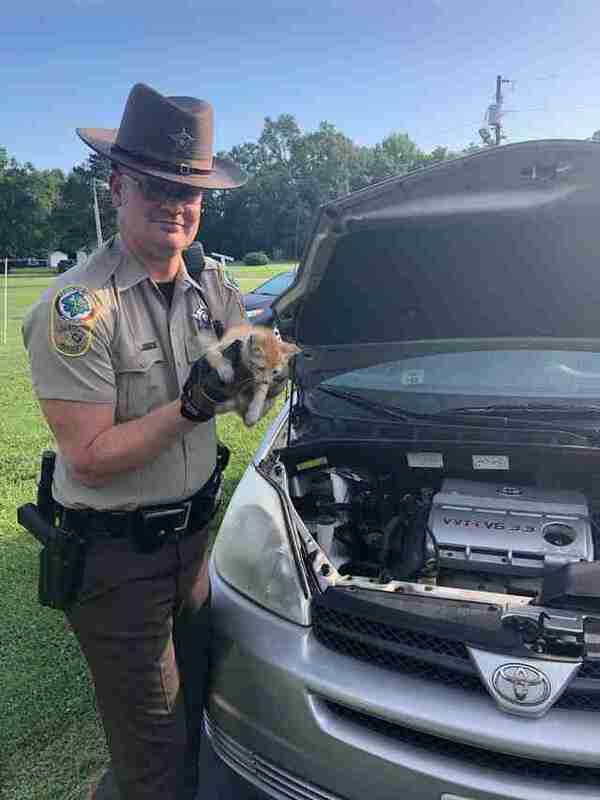 Deputy J.B. Sletten got the unusual call and quickly rushed out to the man’s house in hopes that he could help rescue the mischievous kitten. “It was an interesting process because while I was trying to free the kitten, he kept biting my hand through my gloves,” Deputy Sletten told The Dodo. The kitten was incredibly scared and didn’t understand what was happening, but after about 20 minutes, Deputy Sletten was finally able to maneuver him out of the car. As soon as he was free, the kitten immediately latched onto his rescuer, so happy to finally be out of the cramped engine compartment. Luckily, the kitten was OK and wasn’t hurt at all during his ordeal, and was soon reunited with his worried family. While rescuing animals may seem like an unusual task for a police officer, Deputy Sletten is no stranger to it. In the past, he’s rescued a deer stuck under a porch and a snake inside a post office — so it’s incredibly lucky that he was the one available to come out and help.